Kit Livingston on Boom! Savings in the House! Ashlee Shewell on Boom! Savings in the House! When it comes to the interpretation of mobile data usage policies, employees and employers are rarely on the same page. MDM solutions are effective at preventing unwanted apps on a mobile device, but unfortunately standard browsers can easily be used to subvert those protections by going straight to websites. The real solution today not only demands the ability to establish boundaries around appropriate website access on mobile devices, but equally important is the ability to view ongoing employee data usage for the purpose of notifying or even restricting behavior in real-time, on unbilled data. While the strength of MDMs are in device, inventory and content management, they do not fully address today’s employee data usage challenges in depth or breadth of functionality. 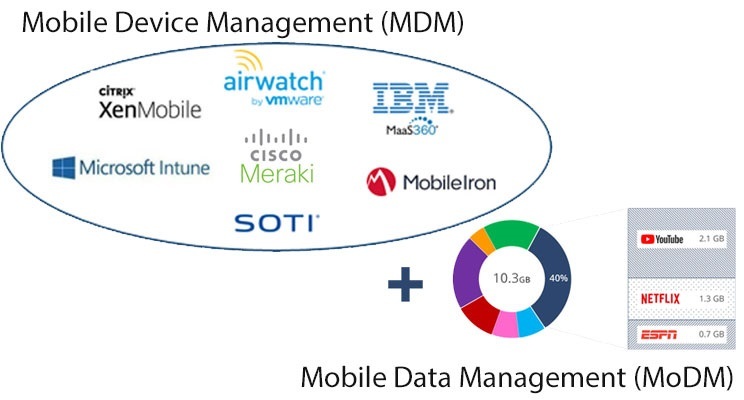 MobilSentry™ Data Manager is designed to complement and extend MDM functionality by providing visibility to data usage on any device, at any time during the bill cycle. Management can then take appropriate actions to curtail the rapid growth in data costs. Click here to learn how MobilSentry™ Data Manager works seamlessly with your current MDM solution to close data usage control gaps.